One of America’s most unique motor journeys, the scenic 110-mile Overseas Highway combines ocean views, 42 bridges, natural wonders and history like no other place. Each region of the Keys has its own unique character, worlds away from big cities and theme parks. The island chain’s first and longest island, is about a 60-minute drive from Miami International Airport. Key Largo is bordered on the west by Florida Bay and the Everglades National Park backcountry, and to the east by the Atlantic Ocean, home to the clear waters of the Gulf Stream. Visitors can enjoy Key Largo’s ties to the sea including scuba diving, snorkeling, an underwater hotel, sport fishing, eco-tours, beaches and dolphin encounter programs. Key Largo is where Humphrey Bogart and Lauren Bacall battled Edward G. Robinson and a hurricane in the 1948 gangster movie “Key Largo.” Today, visitors can take a tour on The African Queen, the boat Bogart and Katharine Hepburn fell into during the 1951 movie, “The African Queen,” is set in World War I Africa. The island also offers numerous on-shore attractions including nature trails and a rehabilitation center for wild birds, and the star attraction is John Pennekamp Coral Reef State Park, the first underwater preserve in the United States, that is incorporated within the Florida Keys National Marine Sanctuary. This village of homey islands includes Windley Key, Upper Matecumbe Key and Lower Matecumbe Key. Two offshore islands, accessible only by boat, have special pasts: historic Indian Key, a site where early settlers were attacked by raiding Indians, and Lignumvitae Key, an ancient, patch of land where tropical hardwood trees, including the lignumvitae, have taken root. A perfect playground for adults, the Islamorada area also features eco-tours, water sports equipment rentals, tennis facilities, bicycle trails, historic hikes and beautiful romantic vistas of both the Atlantic Ocean and Florida Bay. Restaurants range from very upscale continental, fresh-from-the-dock seafood to casual to downright funky. Considered to be the Sport-Fishing Capital of the World, Islamorada is heralded for its angling diversity and features the Keys’ largest fleet of offshore charter and shallow-water “backcountry” boats with tournament-grade captains. South of Islamorada, walk through undeveloped tropical forests at Long Key State Park. 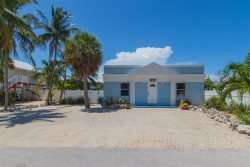 Further down the road on Grassy Key, the Dolphin Research Center affords a rare opportunity for one-on-one contact with these intelligent mammals. At the mid-point of the Florida Keys, Marathon includes Boot, Knights, Hog, Vaca, Stirrup, Crawl and Little Crawl keys, East and West Sister’s Island, Deer and Fat Deer keys, Long Pine and Grassy keys. It incorporated as the City of Marathon in 1999, and has fast become the family-friendly destination of the Florida Keys, filled with activities for everyone such as golf, world-class diving and snorkeling, boating, opportunities to swim with dolphins, stroll the white sand of Sombrero Beach and enjoy an abundance of water sports like kayaking and standup paddling. Among the area’s environmental and natural attractions is the hardwood hammock and rainforest areas of Crane Point Hammock, a 64-acre reserve on some of the most historically and archaeologically-rich land in the Keys. Pre-Columbian artifacts have been discovered here, and the site is home to the Museum of Natural History of The Florida Keys and the Children’s Museum. Offshore, the historically significant Pigeon Key once housed the workers who built Flaglers’ railroad in the early 1900s. Today, you can take a tour of this island for a snapshot of life in the early 20th century, and be surrounded by stunning, peaceful scenery. For several decades, leaders and citizens of Big Pine Key and the Lower Keys — located from the west end of the Seven Mile Bridge to just outside Key West — have advocated the responsible use and preservation of the region’s abundant terrestrial and marine wildlife. That commitment to conservation has earned the region the title of the Natural Keys. Get away from it all and immerse yourself in one of the Lower Keys’ popular nature tours, many by kayak, that offer unforgettable opportunities to view migratory and wading birds and the unique flora and fauna of this tranquil natural area of the Keys. Big Pine is the jumping off point for Looe Key, a shallow coral formation that is considered one of the most spectacular shallow water dive sites. Big Pine is also home to the diminutive Key deer, a subspecies of the white tail deer, and the National Key Deer Refuge was established in 1957 to protect and preserve habitats for wildlife. A growing number of visitors also prefers to become one with nature and have an authentic experience by camping when coming to the Keys, and campsites abound in the Lower Keys. The final stop on the Overseas Highway, Key West is the nation’s southernmost city and is actually closer to Havana, Cuba than Miami. Florida Keys Tourist Development Council Stroll amid tiny, colorfully-restored homes where thousands of cigar workers lived in the 19th century. Huge, architecturally rich mansions were built by business tycoons and city leaders. Some have been converted into guest houses and inns with modern swimming pools and lush tropical gardens. Chat with the locals, many of whom are native-born Key Westers called Conchs who likely spent their childhood amid tropical fruit trees in their yards and gathering the namesake shellfish in shallow near-shore waters. Novelist Ernest Hemingway found inspiration for some of his best work here. Hemingway purchased a pre-Civil War mansion on Whitehead Street in the 1930s and lived in it for nearly a decade. Thousands of visitors seek out his home, now a museum. Treasure hunter Mel Fisher also called Key West home. Using Key West as a base, he recovered millions of dollars worth of gold and silver from the ship Nuestra Señora de Atocha, a 17th-century Spanish galleon that sank 45 miles west of Key West. Years before he died, Fisher had the good sense to establish the Mel Fisher Maritime Heritage Society Museum, where visitors can view and even touch some of the riches of the Atocha and the Santa Margarita. At sunset, visitors and local artists gather on the docks at Mallory Square to celebrate the end to another tropical day. Musicians, jugglers, mimes, and the occasional fire-eater entertain you while local food vendors keep you fed. The daily celebration has become one of Key West’s greatest traditions. When night falls, a plethora of eclectic, upscale and tropical restaurants and watering holes offer live music, from New Orleans-style jazz to local trop-rock. Dining opportunities in the island city are as enticing as the sunsets. If it’s theatre you like, you’re in luck. Key West is home to several small theaters that showcase performances by local acting troupes. Or enjoy a classical symphony performance now and then. Feast your eyes in an abundance of galleries for a visual arts experience, nose up to a local author’s book or put your hands together making your own original creation in a learning workshop.